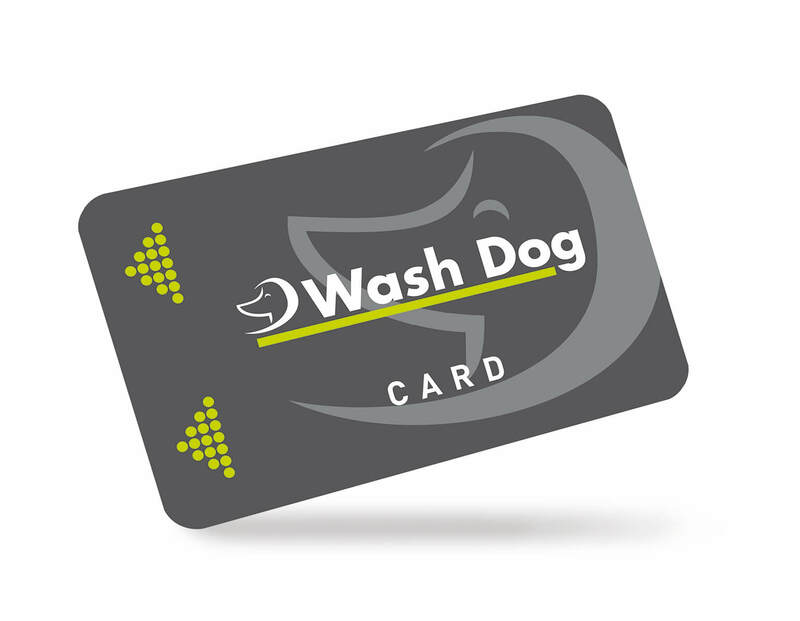 In order to have access to all the Wash Dog facilities, our clients must possess a Wash Dog Card, that is a rechargeable chip card. Cards can be topped-up at the vending machines inside our stores. That is why our exhaustive service gives our customers total independence and at the same time grants our affiliates full control of their stores at all times and complete access to its clients’ database. Thanks to the Wash Dog Card our affiliates can always have advance cash-flow and their clientèle can rely on a clear-cut 24/7 service. THE AMBIANCE: Wash Dog stores are cosy, enjoyable and relaxing areas, where washing your pet becomes an authentic pleasure. OUR EQUIPMENT is designed to protect both the fur and the skin of your dog. THE PRODUCTS you find in a Wash Dog store are carefully selected: they are natural, designed for frequent use, allergen-free, safe for the environment, biodegradable, gentle and with a neutral ph. OUR CARD it allows our customers to use Wash Dog appliances in total autonomy, but, if needed, they can always rely on our excellent customer care, provided by our trained staff. SAVING at Wash Dog is guaranteed: We do not charge fixed rates, so each client is free to choose how much he wants to spend to wash his dog, thanks to our displays where your current balance is always visible in real time. All of this in a safe and monitored environment, where our software devices allow continuous monitoring of the premises.